A three-dimensional visualization of a wellbore trajectory is challenging, especially for multiple and multi-lateral wells. Calculating true vertical depth (TVD), dogleg severities, and the ability to see the well path in a 3D work space is important to avoid unforeseeable issues. These features help engineers visualize the development plan, avoid well collisions and effectively present the plan to others. 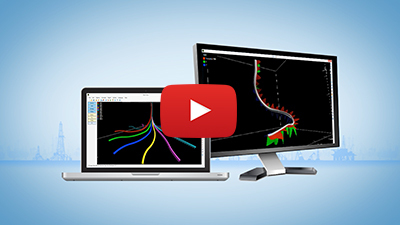 By combining the survey calculations with visualization technology, PathView provides an interactive, true 3D-rendered view of single or multiple wells.